Reishi is no doubt the most famous of all medicinal mushrooms and it is one of very few with such a long history of use; some -though unverifiable- sources state it was probably already used 5000 years ago. ‘Reishi’, the name most people are familiar with, is in fact a Japanese interpretation of the oldest Chinese name; Ruizhi (meaning ‘auspicious mushroom’). The most common name used in China is ‘Ling Zhi‘. A picture of the Shénnóng Běncǎo Jīng, where the six variations of Reishi were described for the first time. Other Japanese names are ‘Mannentake’ (10.000 year mushroom), ‘Saiwai-take’ (good fortune mushroom) and ‘Sarunouchitake’ (monkey’s seat). 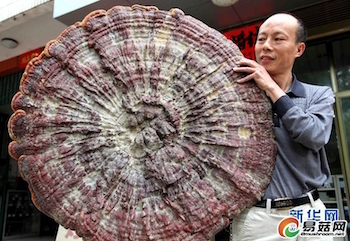 However, as said it is China where this mushroom has the longest history of use. 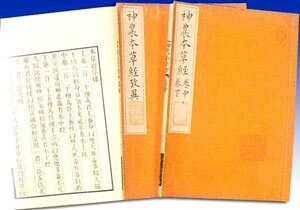 It was first described ± 2200 years ago in the world’s oldest book about herbs and related medicinal subjects; the “Shénnóng Běncǎo Jīng” where it was placed in the category of most superior herbs. 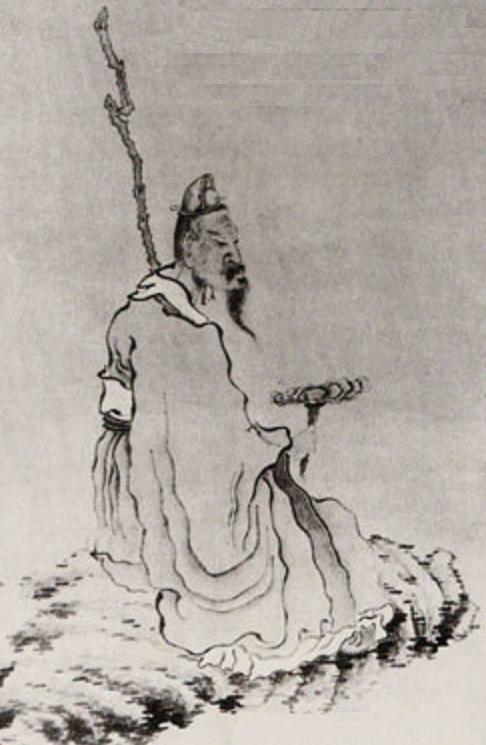 Ling Zhi ( or ‘Chih’ ) was considered the most important mushroom by the ancient Taoists, the founders of Traditional Chinese Medicine (TCM). In Chinese the word ‘Ling‘ is composed of the characters for ‘rain’, ‘shaman’ and ‘praying for’, which, when used together, can mean ‘spiritual potency’ or ‘a stirring of the soul‘ . ‘Chih‘ means ‘tree fungus‘ and ‘substances to concoct elixirs of immortality‘. All this combined can be poetically translated as: ‘The Herb of Spiritual Potency‘. Cultivation of antler-shaped Reishi. The odd shape is a side effect of high CO2 levels in the environment and has no therapeutic meaning. The official Latin name is Ganoderma Lucidum (since 1881). The Ganoderma lucidum moniker is actually covering several species, and mycologists are still investigating the differences among these. Probably the most striking variation is the color; six colors (red, purple, black, white, green and yellow) are found in nature. Red Reishi is the most researched variation of these six, and, according to research, the most potent one, therapeutically speaking. 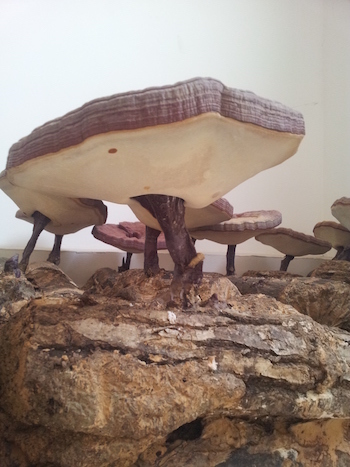 There are several other Ganoderma species with therapeutic properties, such as G. applanatum (artists conk), G. annulare, G. tsugae, G. resinaceum and G. oregonense. Reishi is a polypore mushroom, meaning that instead of gills it has small tubes (like pores) through which it releases its spores. It grows annually at the base and on stumps of specific hardwood trees, in particular maple and oak. Unlike Chaga, another medicinal polypore mushroom, which is growing on living trees only, Reishi grows on both dead and living trees, which makes cultivation much more easy to do (see below). Only two or three out of 10,000 trees in specific areas are infected with Reishi and show the typical fruiting bodies. Wild Reishi. Notice the scars and damage on the top and bottom. Superior quality wild Reishi is very rare. In N-America wild Reishi usually has no or only a small stalk, while in Asia Reishi usually has a long, rather narrow stalk. It takes a year for a spore to develop into a mature fruiting body. 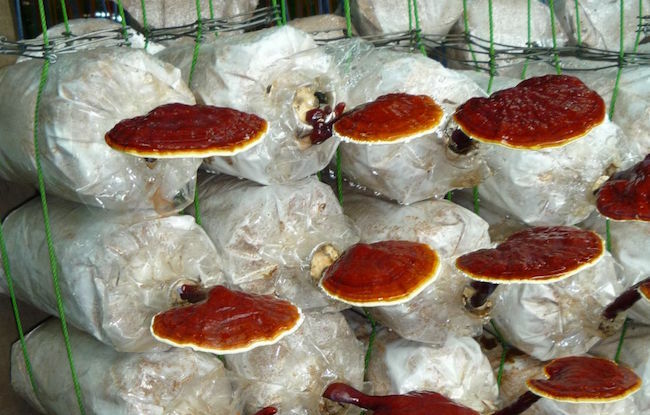 Due to harsh environmental conditions, the instability of wild red Reishi in nature and its vulnerability to pollution, disease, and insect infestations, the number of high quality specimens that reach full maturity in the wild is limited. One of the most rare forms in nature is the ‘antler shaped Reishi‘. We now know that the antler shape is caused by high CO2 levels in the environment. In cultivation antler shaped Reishi is therefore easy to grow. Reishi was used in China as the most important part of Fu Zheng therapy, a form of traditional Chinese herbalism that literally means ‘to restore normalcy and balance to the body‘. It can be compared to contemporary western ‘immuno-therapy‘. Fu Zheng therapy does not specifically treat an infection or disease, but it helps to rebuild the body’s resistance and innate strength so that it may more effectively deal with all manifestations of disease. In the end, the body should heal itself. Reishi is like most medicinal mushrooms a true adaptogen and therefore perfectly suited for Fu Zheng. Until recently only the rich and privileged members of Asian society were able to benefit from Reishi’s therapeutic potential, because, as said before, wild-harvested Reishi of good quality is quite rare and Reishi requires a very specific environment to develop well. In the 20th century effective cultivation techniques were developed and now this mushroom is available to everyone. In 2000 China alone produced ± 13,000 tonnes annually but 3 years later it was already 49,000 tonnes, and since then the production has developed exponentially. Around 30 years ago Reishi products were introduced on the Western market in the form of dietary supplements. Reishi is listed in the American Herbal Pharmacopoeia and Therapeutic Compendium. Many people, especially in Asia, are under the impression that because wild Reishi is rare and very expensive it must be of better quality than the cultivated version, therapeutically speaking. A common mistake this is, mixing up price and value. The opposite is true, however. Wild Reishi is easily damaged and contaminated by insects, moulds, environmental pollution and the overall amount of bioactives is very inconsistent, resulting in an unreliable quality. It rarely reaches full maturity in perfect condition. 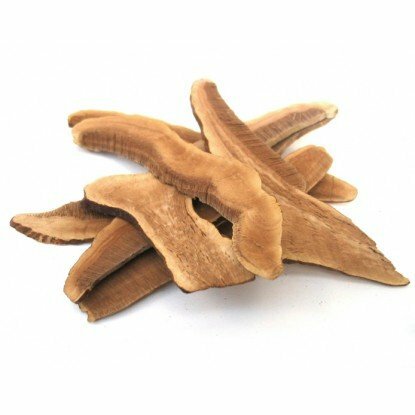 Cultivated Reishi on the other hand is usually based on strains selected for their therapeutic potency and it can be grown under well controlled circumstances. This results in a more uniform and reliable product. The first recorded attempts at cultivation were made in 1937, but mass production was not possible until 1971, when the Japanese developed a cultivation method using pots with sawdust. Cultivation techniques have developed further since then. Maturing Reishi of superior quality growing indoors on a prepared wood log. This was found to be the most effective method, resulting in superior quality Red Reishi with significant and uniform levels of the desired bioactive constituents. Indoor cultivation gives the maximum level of control over contamination. It is expensive, because it requires specific types of wood, which have to be seasoned and prepared. These wood logs are so-called ‘duanwood’ which means ‘original wood’ – the same wood Reishi grows on in nature. After inoculation with Reishi spawn they are buried in nutrient-rich soil. Extensive time is required for fruiting body harvest (5-12 months), during which the developing mushrooms have to be sprayed and maintained daily. Maintaining the correct humidity levels and temperature is very important. In combination with high quality Reishi strains this is the best option for growing therapeutically potent Reishi. Saw dust / wood chips in bags. The mushrooms are cultivated in bags or bottles filled with wood chips and saw dust. Much cheaper than the wood log method, but the resulting Reishi fruiting bodies are smaller and were found to have a lower level of bioactives, even when high quality Reishi strains were used as a base. Bioreactor cultivation using liquid substrate. 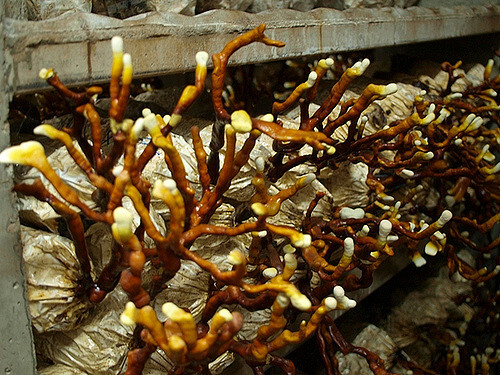 Reishi mycelia are grown in tanks in liquid substrate (also known as ‘deep layer cultivation’). Much research has been done to define the best strain/substrate combinations, because this is by far the cheapest method, in particular because it does in general not rely on fruiting body development, which takes a lot of time. Bioreactor cultivation can be controlled 100%. However, so far the resulting Reishi products are not of the same quality as the sawdust method and not even close to the level of wood log cultivation. The levels of therapeutically interesting constituents increase as the mycelia are about to develop into the fruiting stage. During bioreactor cultivation this stage is never reached, because of the time involved, and the more time is needed, the more expensive the final product will become. The main reason for a producer to choose bioreactor cultivation is that it is fast and therefore cheap. The poor quality Reishi it produces is taken for granted and usually masked with smart and deceiving marketing tricks (also read ‘Quest for Quality’). A general quality marker since ancient times has always been the bitterness of the product: the more bitter, the higher the quality. The bitterness is caused by the presence of specific triterpenes. Reishi mycelia are not bitter at all. They contain less bioactives than the fruiting bodies, in particular the triterpene-percentages are lower and nucleosides (see below) are completely absent. 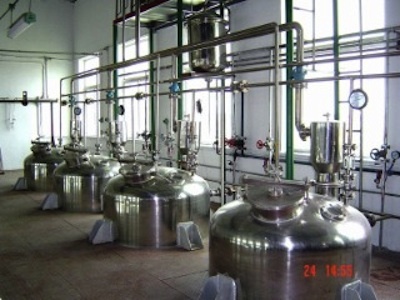 The development of these is highly dependant on the procedures used during bioreactor cultivation. Triterpenes are secondary metabolites, constituents which are not essential for the mushroom’s growth (these are primary metabolites) but develop only to help the -parasitic- mushroom cope with its harsh environment and with host invasion. In a sterile lab tank these secondary metabolites will therefore not develop well unless artificially triggered. Research on the best ways to do so is still on-going. This is also the reason why attempts at cultivating Chaga (Inonotus obliquus, a slow-growing medicinal fungus with similar lanostane-type triterpenes), have so far not resulted in quality products, therapeutically speaking. Research suggests that Reishi’s bioactive constituents are in particular therapeutically effective when they can benefit from each other’s presence; the so-called synergistic effect. A full-spectrum product will contain all bioactives, but in order to benefit from their therapeutic potential this full-spectrum product should be an extract. The majority of the bioactives are embedded in the indigestible chitin cell-walls of the mushroom, not in the cell itself, like with most herbs. Extraction is essential to break the cell-walls and set the bioactives free from their chitin chains. Reishi tinctures are -incorrectly- using an approach that does work well with herbs: put the raw herb in alcohol and/or water and the cellulose (the building block of herbal cell-walls) will disintegrate rather quickly, making the bioactives contained in the cell-walls (and in the cells themselves) bio-available. Chitin however, does not disintegrate in alcohol or water just like that. Like almost all medicinal mushrooms, Reishi’s main bioactive ingredients are water-soluble (1>3)(1>6)beta-D-glucans, which are part of the polysaccharide fraction. (all beta-glucans are polysaccharides, but not all polysaccharides are beta-glucans!!) Research shows that these glucans are in particular responsible for the immune-balancing effects. Hot water extracts contain bioavailable polysaccharides; depending on the quality of the source material and the extraction procedure polysaccharide percentages of up to 50% can be achieved. Apart from those, polysaccharides linked to proteins and peptides (proteoglycans, peptidoglycans, glycopeptides etc.) have also been isolated, similar to the bioactive PSP and PSK fractions found in Coriolus versicolor (Turkey Tail). These particular bioactives are only present in dual extracted Reishi. It should be noted that the amount of bioactive water-insoluble polysaccharides was found to be higher than that of water-soluble polysaccharides. This proves again the importance of dual extracted Reishi – only the combination of ethanol and hot water extraction (in a multi-step process) can guarantee that all bioactives, both solubles and insolubles, are present. Scientific investigations concerning the anti-tumour and immuno-modulating activities of both the beta-glucans and the linked polysaccharides were reported as early as in 1957. 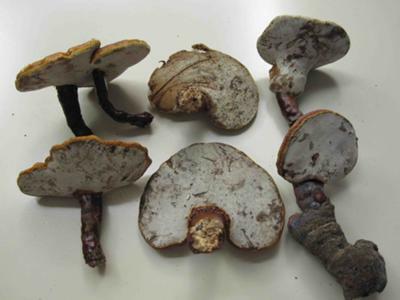 What sets Reishi apart from other mushrooms is the enormous variety of triterpenes, which give the mushroom its distinct, intensely-bitter taste (which is considered a quality marker). Over 150 triterpenes have been identified so far. 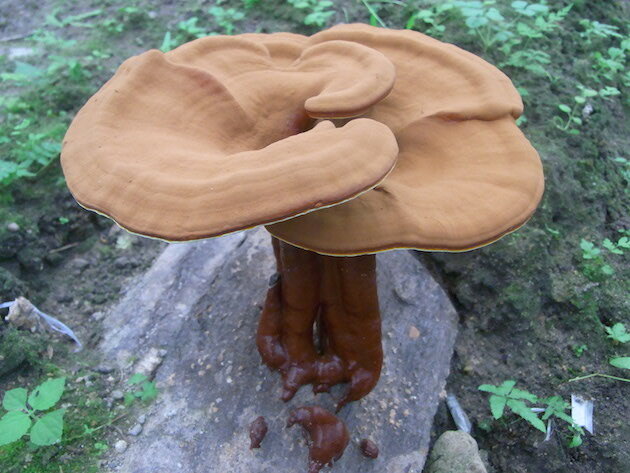 A whole group, known as ganoderic acids, is only found in Reishi and other species of the Ganoderma family. All of these have therapeutic potency. It is believed that these triterpenes in particular are responsible for the lipid-lowering and anti-oxidant effects, which are enhanced synergistically by the polysaccharide fractions. 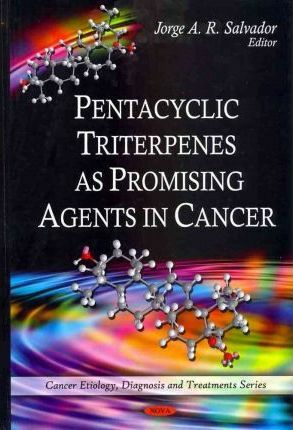 Triterpenes are also considered to be potential anti-cancer agents due to their – in vivo and in vitro – activity against growing tumors: they have direct cytotoxicity against tumor cells rather than triggering the immune system, like beta-glucans do. Furthermore, Reishi triterpenes inhibited HIV-1 protease and HIV-2 protease. 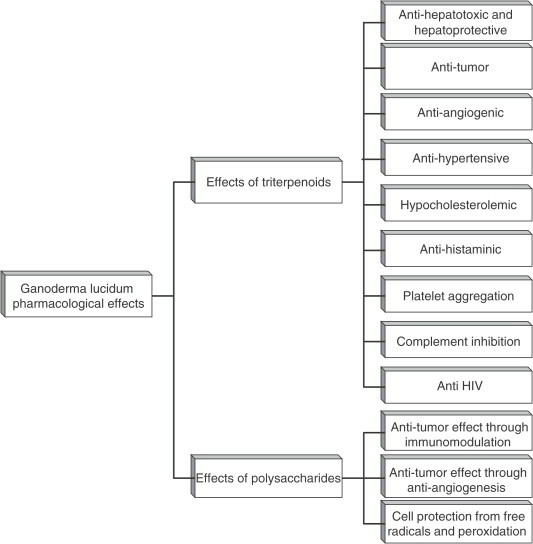 Hepatoprotective effects were also found (in vivo and in vitro). Triterpenes are only present in dual extracted Reishi products, because they are all non-water soluble and oily. As said, the yield of triterpenes in Reishi is very low and this makes supplements with a high percentage of pure triterpenes exceptionally expensive. Just like Cordyceps sinensis Reishi also contains bioactive nucleosides, like adenosine, uridine and guanosine. These affect e.g. blood clotting and improve the ability to of the red blood cells to absorb oxygen. The nucleosides are found in particular in the fruiting body in the area around the spore producing tubes (the hymenophore tissues). Many Reishi producers are mentioning ‘large‘ amounts of e.g. adenosine when marketing their products, but our research showed only 0.08 mg/kg (or 0.000008%), which is just a trace and much lower than what is found in Cordyceps sinensis (the ORIVeDA Cordyceps extract contains e.g. 0.7% adenosine -batch 130322-). Mycelia appear to have no detectable levels of nucleosides. Reishi is also rich in minerals and trace elements; it has ± 10% of mineral content with potassium, calcium, and magnesium as the major components. Some sources are emphasising the presence of organic germanium in Reishi. Although germanium is not an essential element it has been credited with immunopotentiating, antitumor, anti-oxidant, and antimutagenic activities at low doses. However, there is no firm evidence linking this element with any of the specific health benefits associated with the mushroom. It is present in trace amounts only. It is important to realise that the majority of these bioactives will only have a therapeutic effect when they are part of a properly extracted Reishi product. This absolutely essential part is known as ‘bioavailability’ (meaning: can we actually absorb and thus benefit from the product, therapeutically speaking). ‘Properly extracted‘ meaning a two, or, even better, a three step extraction procedure, with ethanol, hot water and alcohol precipitation included. Unlike e.g. Chaga the yield of bioactives (in particular triterpenes) in Reishi is very low. Labor intensive (and therefore expensive) extraction procedures are needed to improve the yield and to create a full-spectrum product with both a high level of purity and a high percentage of bioactives. The majority of Reishi products on the market are either non-extracted or just basic hot water extracts. They are easy to spot if you know what to look for: the supplement facts label gives either no indication of the bioactives (no percentages of polysaccharides, etc) or only states something like ‘10:1 extract‘ – which is meaningless as a quality marker. ‘Extract‘ is in general the wrong term here; ‘concentrate‘ would be more accurate, since most of the time it only indicates a reduction in weight or volume. These ratio-statements are impossible to verify by a third party and do not reveal anything about the bioactives that are present. (also read ‘Quest for Quality’). Traditionally, the dried fruiting body of Reishi was cut into long narrow strips, which were then used to make tea. The HongKong Consumer Council put this traditional method to the test (Choice magazine #286, August 15, 2000). They compared a home-made Reishi tea with a professionally produced extract. The study team used 15 grams of red Reishi slices and boiled them in 300 cc (about one bowl) of water for an hour. Their lab analysis showed that the amount of polysaccharides extracted was about 0.076 grams ( ± 0.5%), so the study concluded that this boiling method by the consumer is not only labor intensive, but also much more expensive and clearly less effective than consuming ready-made industrially processed Reishi products. One reason for the low percentage of polysaccharides in the tea is this: polysaccharides are large strings of molecules, which will disintegrate under continuous high temperatures, thus losing their bioactivity. Research found that when performing the boiling of the dried mushroom under pressure this disintegration does not take place and a much higher yield of bioactive polysaccharides is achieved. Low-pressure or no-pressure hot water extraction (like when making mushroom tea) is inefficient. in addition to cancer, bronchitis and hypertension*. This versatility is due to the large number of bioactive compounds isolated from this fungus, as described earlier. 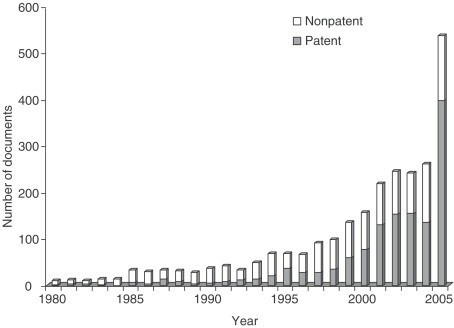 Research is increasing every year. However, we want to emphasize that the majority of research so far has been performed with animals (in vivo) and in the lab (in vitro). Research with human volunteers is still scarce. Products that can support and enhance the functioning of our immune system improve our health in terms of improved resistance against malignant or pre-malignant cells. Anti-inflammatory, anti-viral and anti-bacterial effects are also an effect of a well-functioning immune system. Many Reishi products on the market are labeled or promoted as immunomodulating agents and there is considerable research-based evidence to support these claims. Autoimmune diseases like allergies and arthritis can be influenced in a positive way, by normalising the immune response that caused them. Some research also found that Reishi has an anti-histamine effect, which can be beneficial when treating asthma and specific allergies. Summarising in brief: the proliferation, maturation and activities of both T and B lympocytes, NK cells and dendritic cells improved significantly during both lab and animal tests. Cytokine production was also triggered. All of these are key factors in a well functioning immune system and therefore key factors for our general health and well-being. Taking into account that our immune system is under continuous siege and that, apart from that, our immune function starts declining already around our 35th birthday an immunesupporting supplement such as Reishi can be considered a good addition to our diet. The beta-glucan fractions are the most important constituents for immune support. The effect of Reishi on the cardiovascular system has been investigated in depth. The triterpenes found in Reishi were found to have a normalising effect on elevated cholesterol levels, which in turn can affect high blood pressure (by reducing the potential plaque buildup in arteries). Several reports also mention a direct normalising effect on blood pressure. Platelet aggregation decreased, probably because of the presence of trace amounts of adenosine in synergy with triterpenes. Direct and indirect lipid peroxidation (a side effect of normalised cholesterol levels) and anti-oxidant effects have been demonstrated in animal and lab experiments. Rheumatoid artritis is an auto-immune disorder. The effect of Reishi on patients with rheumatoid arthritis has been studied in two clinical trials. The outcome was very good. However, both trials used a combination of Reishi plus San-Miao-Wan (a TCM herbal formula), therefore making it difficult to attribute the positive outcomes to the individual agents. CFS is also known as ME. It is believed that ME is an auto-immune disease. A multicenter, double-blind, randomized, placebo-controlled trial was conducted in China. A Reishi extract was administered for 8 weeks, resulting in a reduced sense of fatigue and improved quality of life. This again confirms Reishi’s effect on the immune system. Because the effect is balancing, there are no unwanted side effects. Anti-oxidants protect cellular components from oxidative damage, which can decrease the risk of mutations and carcinogenesis and can also protect immune cells, allowing them to maintain immune surveillance and response. Various components of Reishi, in particular beta-glucans, protein-bound and peptide-linked polysaccharides and triterpenoids did show anti-oxidant activity in lab tests. However, a direct link has not been established between the anti-oxidant properties of Reishi and its immunomodulatory and anticancer effects, and whether Reishi acts as an anti-oxidant or pro-oxidant may depend on concentration and environment. Research shows conflicting results, so it might be wise not to rely on Reishi as an anti-oxidant. Polysaccharide-bound proteins from Reishi showed inhibitory effects on Herpes Simplex Virus type 1 (HSV-1), Herpes Simplex Virus type 2 (HSV-2), and Vesicular Stomatitis Virus (VSV – New Jersey strain) in a lab test. Using the plaque reduction method, a significant inhibitory effect was seen at doses that showed no cytotoxicity. A dried hot water extract of Reishi taken orally was used as the sole treatment for postherpetic (varicella zoster virus) neuralgia in 4 elderly patients. This treatment was reported to dramatically decrease pain and promote the healing of lesions without any toxicity, even at very high doses. The antimicrobial combination of Reishi with four commonly used antibiotics resulted in an additive or synergistic effect in most, but not all, instances, with apparent antagonism against cefazolin and ampicillin effects on Proteus vulgaris (known to cause urinary tract infections and wound infections). Reishi extracts are popular supplements taken by healthy individuals to support the immune system in general and by cancer patients along with conventional therapies, to reduce the side effects of those therapies (including the negative effects on the immune function, which can lead to secondary infections and indirectly can promote metastasis). The chemopreventive activities of the mushroom on prostate cancer were demonstrated by a triterpenoid-rich extract of Reishi that suppressed the ventral prostate growth induced by testosterone. Reishi appears to have a positive effect in inflammatory breast-cancer, but should not be used in hormone-related breast cancers. However, whether the antitumor effect of Reishi is a direct one or is mediated via the immune system is not clear. The research results with humans seem to indicate that the antitumor effects are a side effect of Reishi’s effects on the immune system. Much more research with human volunteers is needed – the majority of research so far was in vivo and in vitro. It seems that polysaccharide-rich extracts can be benificial for diabetics. In several controlled animal studies the oral administration of a hot water extract was found to lower serum glucose levels. The first effects were seen after one week. The extract markedly reduced levels of phosphoenol-pyruvate carboxykinase (PEPCK). Serum insulin levels increased (when compared to the nontreated diabetic group) and glucose levels decreased in a dose-dependent way. 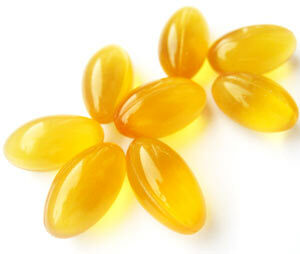 Levels of non-enzymic and enzymic anti-oxidants increased and lipid peroxidation levels decreased. Therefore, in addition to its glycemic modulation, treatment with this hot water extract helped to decrease oxidative stress. There are a few human trials with similar positive results. Overall, the data from several studies suggests that taking a Reishi extract might help in modulating blood glucose levels. However, these studies were performed mostly in animals. More support from well-planned human clinical studies is needed with and without combination with conventional medicines to be able to make more definitive claims. Triterpenes are mainly responsible for the hepato-protective effects, but some studies also show polysaccharide extracts to be benificial. A dual extract, again, would therefore be the best choice. Several studies (including some with human volunteers) show a positive effect on chronic hepatitis B.
Reishi polysaccharide extracts were also found to accelerate the healing of ulcers; up to 56%, depending on the dosage. The Helicobacter Pylori, the bacteria that causes e.g. peptic ulcers and gastritis (and is probably also involved in the development of stomach cancers) was inhibited in its growth by a Reishi extract. As far as we know all research in this field has been performed with animals or it the lab, though. No controlled trials with humans exist as far as we know. Research was performed with ethanol and/or hot water extracts, which were administered orally. Some people taking high dosages of 1.5 – 9 grams per day reported one or more of the following side effects: temporary sleepiness, thirst, rashes. bloating, frequent urination and diarrhea. Taking the extract together with vitamin C seemed to improve many of the side effects. Lowering the dosage also helped. These reports do not give details about the quality and properties of the extracts that were consumed; and taking into account the poor quality level of most Reishi products it is not unlikely that at least some of these side effects might be related to that, so this appears not to be a direct cause for alarm (also read ‘The Quest for Quality’). Because Reishi has immune-balancing properties, it should not be used together with immune-suppressants, like those prescribed after a transplant. The blood sugar lowering effects can cause fatigue in those that are highly susceptible. In general these people are also very susceptible to e.g. caffeine and alcohol, or are diabetics. Taking the extract together with a sugar containing liquid can neutralise this effect. They are described as containing ‘the essence of Reishi’s therapeutic power‘. Is this just a marketing statement ? If you’re charged less, it is most likely an adulterated or plain fake product. The majority of reputable supplement sellers do not include spore products in their mushroom-products line, the main reason being that the product is exceptionally expensive (so it won’t attract a lot of customers) but also because the bioavailability of isolated triterpenes is very low. The solubility is almost zero, making absorption by the body (and therefore an actual therapeutic effect) questionable when taken orally. Furthermore, almost no research has been done so far with Reishi spore products (we couldn’t find anything at all, to be honest) and in both China and Japan these products are therefore frowned upon. In 2005 the Consumer Council issued a report describing among others the case of an eldery patient that developed liver poisoning after daily consumption of a Reishi broken spore product for a month. This might be just an incident though, and the precise circumstances are unknown. Contains no additives. Oriveda’s Reishi Primo is really 100% red Reishi. GMO-free, non-irradiated, free from allergens. The COA is available on request – visit our website. Produced in full compliance with cGMP, HACCP and ISO 9001:2008. For information about why using extracts instead of powder or tinctures is essential for therapeutic purposes, click here. *All information provided in this article is for informational and educational purposes only. The statements on this page have not been evaluated by the FDA or the EFSA. This product is not intended to treat, cure or prevent any disease. Do not use this product instead of regular medication. Consult your doctor before taking this product. © oriveda.com 2013 – all rights reserved. Visit our website for more background and our products. Do you have the reference to the chinese multi-center trial using reishi extract with CFS/ME. I’d like to read the paper, which hopefully is an english translation. Sorry, we don’t have that reference. Hi There, if you could educate me on this liner : Polysaccharide-bound proteins from Reishi showed inhibitory effects on Herpes Simplex Virus type 1 (HSV-1), Herpes Simplex Virus type 2 (HSV-2), and Vesicular Stomatitis Virus (VSV – New Jersey strain) in a lab test. Using the plaque reduction method, a significant inhibitory effect was seen at doses that showed no cytotoxicity. I have HSV 2 and am thinking of consuming LingZhi to boost my immunity to fight against recurring outbreak. i read your above line a couple of times, but dont quite understand what you mean. Simply put, it means that in a lab test it was found that Reishi can help to keep HSV2 at bay.